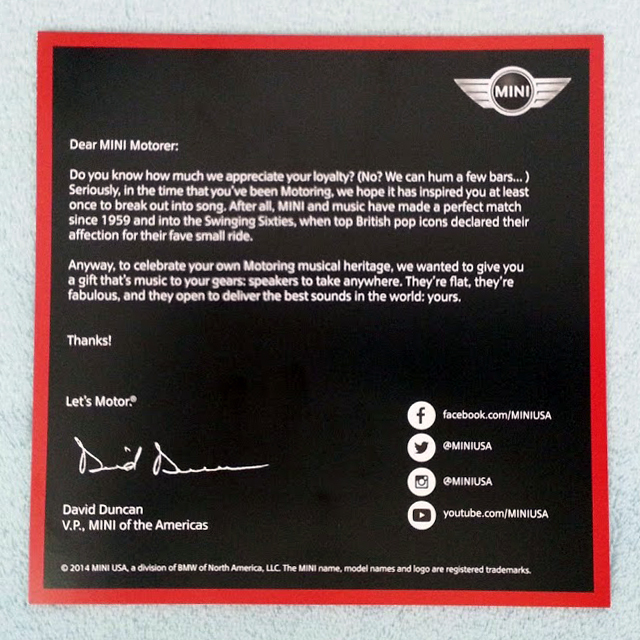 This entry was posted in collectibles news and tagged David Duncan MINI USA on May 27, 2014 by James Day. 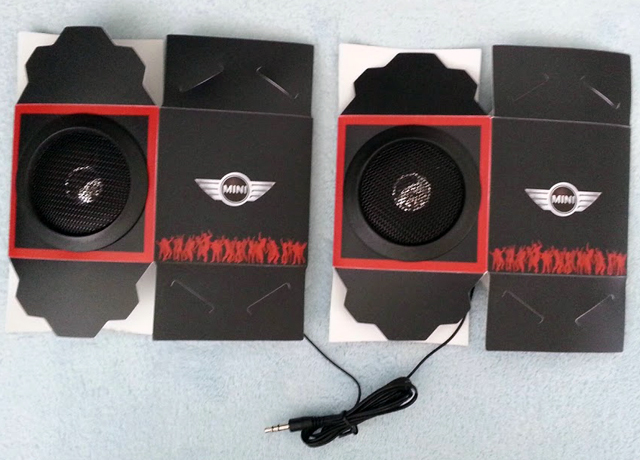 Recently some MINI owners in the US have been receiving surprise packages in the mail. 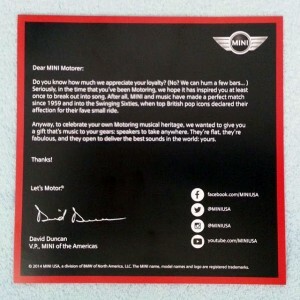 It’s unclear why some are receiving these, but the common thread seems to be owners who purchased a 2012 MINI (so far). 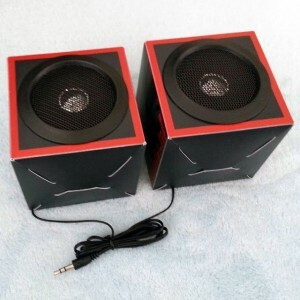 The foldable plastic speakers are approximately 3″ on each side with wires and a jack. Do you know how much we appreciate your loyalty? (No? We can hum a few bars…) Seriously, in the time you’ve been Motoring, we hope it has inspired you at least once to break out into song. After all, MINI and music have made a perfect match since 1959 and into the Swinging Sixties, when top British pop icons declared their affection for their fave small ride. Anyway, to celebrate your own Motoring musical heritage, we wanted to give you a gift that’s music to your gears: speakers to take anywhere. 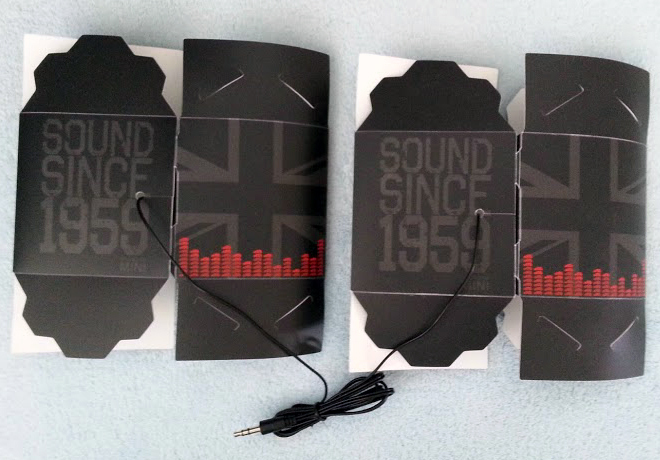 They’re flat, they’re fabulous, and they open to deliver the best sounds in the world: yours. I was very excited when I received mine in the mail. What an awesome thing for Mini to do!! Tks Mini. Motor on!! I love my mini? ?